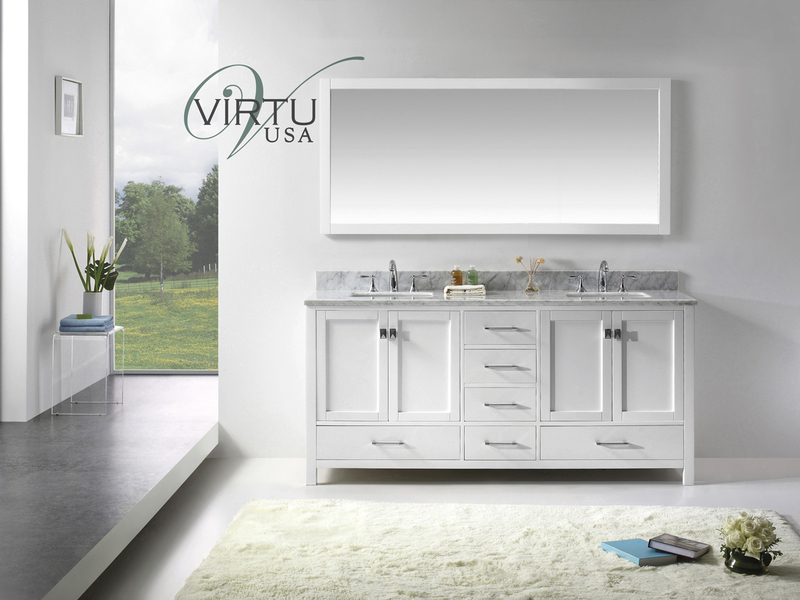 When you combine the simplicity of transitional styles with top quality materials, you get a stunning vanity like the 73" Caroline Avenue Double Vanity. 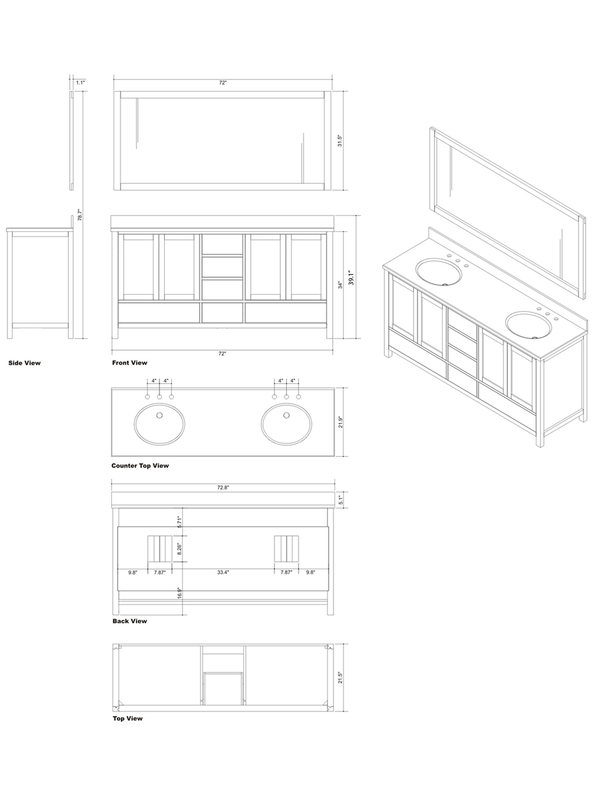 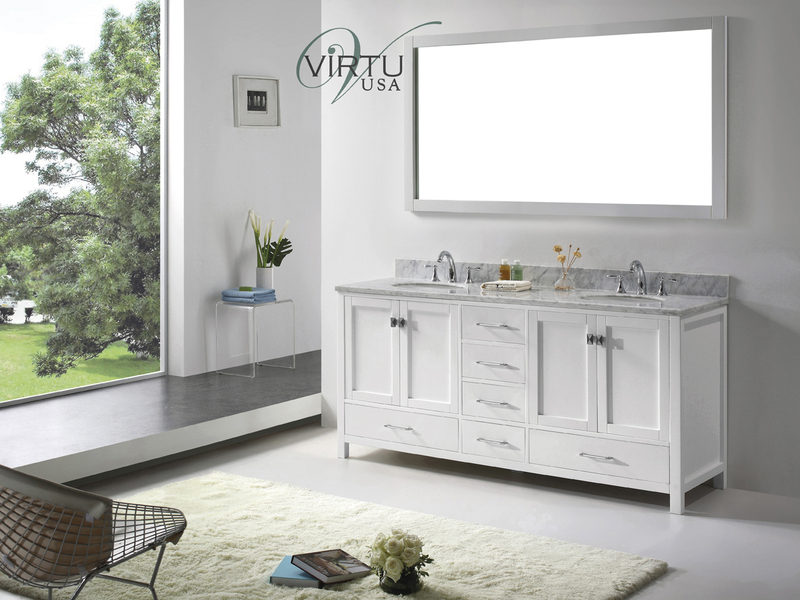 Its gorgeous White finished cabinet made from solid oak will completely transform the look of your bathroom. 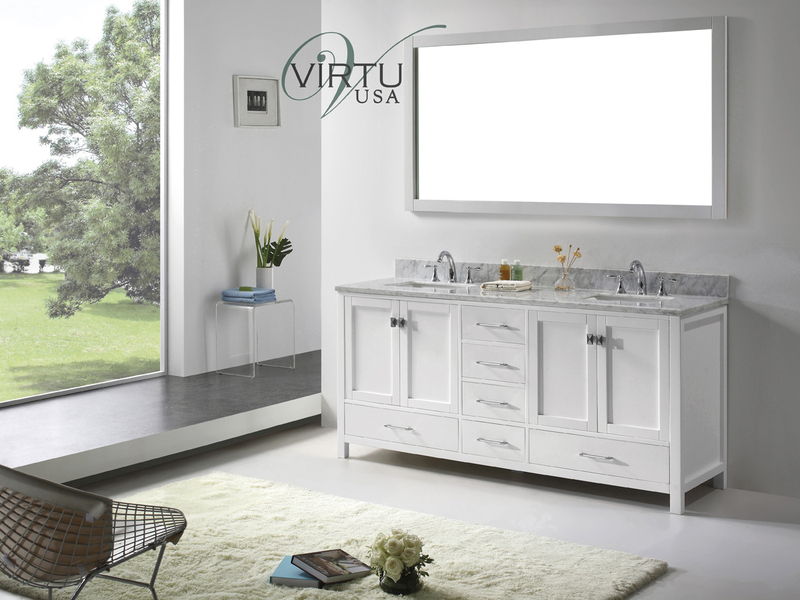 The Italian White Carrera Marble top makes a spectacular contrast to the deep cabinet finish and is equipped with two ceramic sinks with sink holes that can be cut in a squared or round shape. 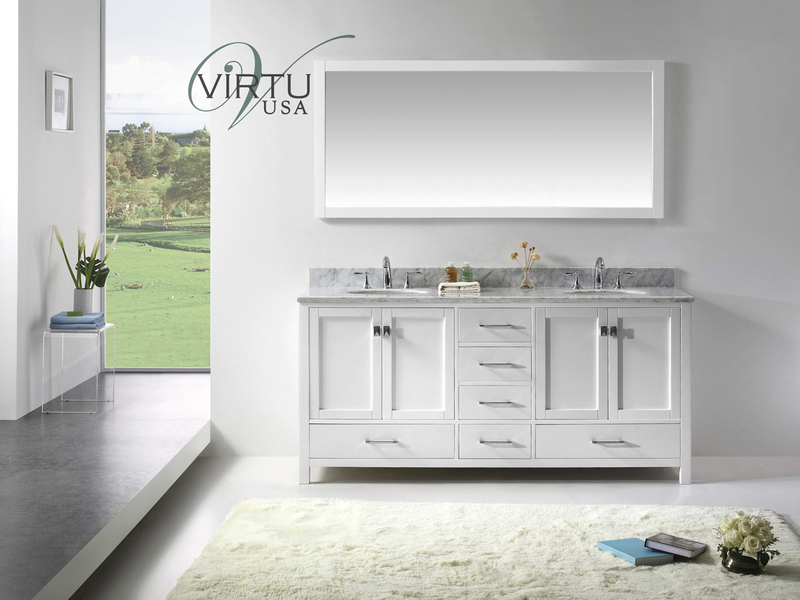 To top the Caroline Avenue off, the included matching mirror makes this vanity look stunning in any bathroom!